Tokaj Hegyalja Piac - local artisan market: Dániel Kézdy presents his new book "Tokaj people and Vineyards"
Dániel Kézdy presents his new book "Tokaj people and Vineyards"
Tokaj enthusiast Dániel Kézdy is joining us at the market to present his beautiful, picture filled collection of interviews with the movers and shakers in the Tokaj Wine Region. 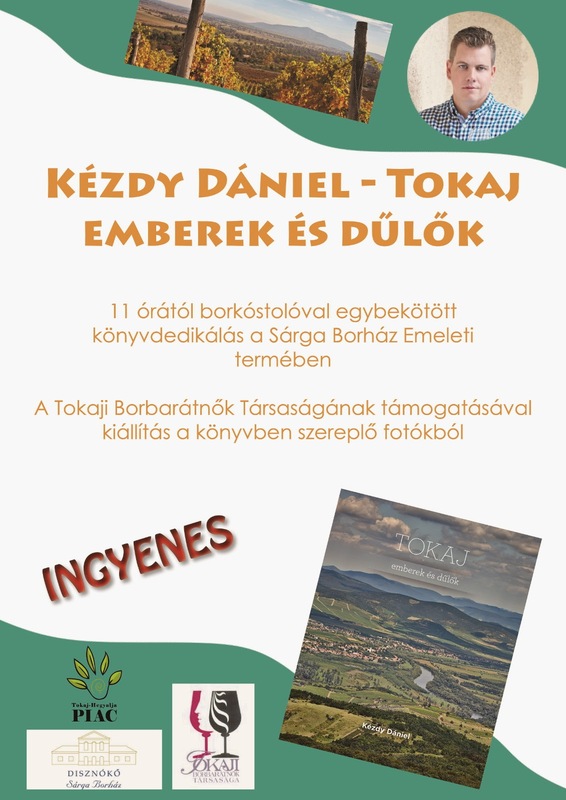 Starts at 11 am in the room above the Sárga Borház Restaurant, and there is even the chance to taste Dániel's own wine and see a selection of the photos that made it into the book! Bags, Bags, bags! - and smashing pumpkins! !